It was reported yesterday that Samsung had announced its Unpacked launch event will be taking place on Sunday, February 21 at the World Mobile Congress in Barcelona. While it seems almost certain that the company will reveal its new flagship line, the Galaxy S7, at the event, the Unpacked teaser video focused heavily on Samsung’s Gear VR headset. 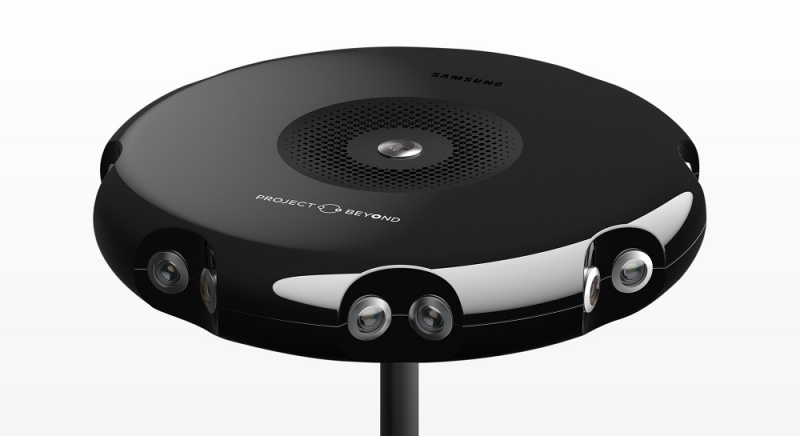 The reason for this, according to a report from Sam Mobile, is because Samsung will also reveal its previously-rumored 360-degree VR camera – the Gear 360. The device, which likely has its roots in Samsung’s Project Beyond, is apparently a “compact spherical camera” that uses two 180-degree fisheye lenses to capture 360-degree images. The report states that while the Gear 360 will be compatible with the upcoming S7, we don’t know if it will work with earlier Samsung smartphone models. Although it’s pretty likely that it will be compatible with the newer handsets, much like the Gear VR. The Gear 360 will also feature an internal battery – so no need for an external power source - and comes with its own onboard storage for videos and images, although we don’t know what the capacity will be. Connectivity will be via Bluetooth and a “Gear 360 Connect app,” which will include a gallery and a time lapse feature. The camera’s maximum resolution is apparently 3840 X 1920 when shooting in dual lens mode, or 1920 X 1920 in single lens mode. Samsung will likely be hoping that the Gear 360 will make it easy for the average consumer to create their own VR content. With the device being pretty mobile, it’s been suggested that people could use it to record their travels as fully immersive 360-degree experiences. There’s still no word on pricing for the Gear 360, but this may be revealed at the Unpacked event.